Grow. Cook. Sew. : Soundtrack of the month.. I always get stuck on one album that I play over and over until I am sick of it (Well usually Tom gets sick of it first and asks me very kindly to choose something else to play)! At the moment it's Regina Spektor's album Far. 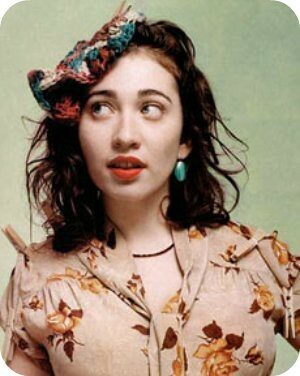 I first saw Regina Spektor on rage one morning singing 'fidelity' and from then I was hooked. Tom and I were lucky enough to go and see her live last time she came to Sydney and it was on of the best concerts I have ever been to. She is one cool lady! I have just started reading your blog - have started right from the beginning! Wanted to say 'snap' as I too first discovered Regina Spektor on Rage singing 'Fidelity'! How funny is that!